If there could be a synonym for the term, “City with Duality”, I would assign it to the Spiritual Capital of India, Varanasi. 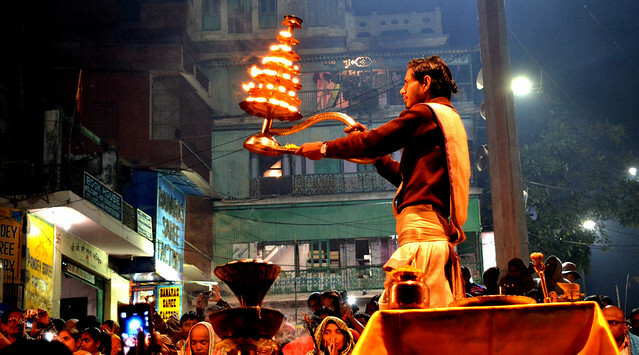 Varanasi, derives it’s name from the confluence of rivers Varuna and Assi, is one of the oldest inhabited cities in India. 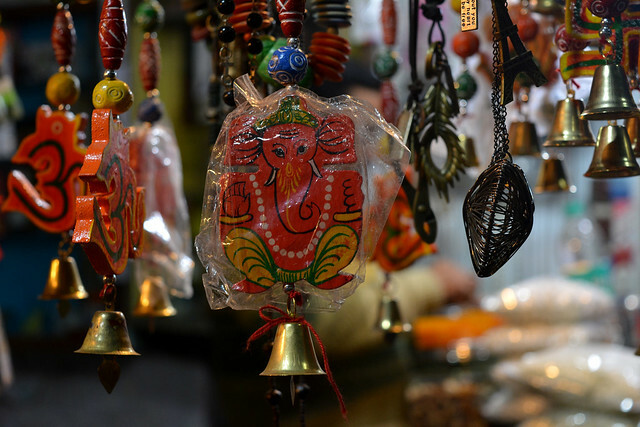 Hindus believe that the city was built by Hindu God Lord Shiva and is hence spiritually significant. 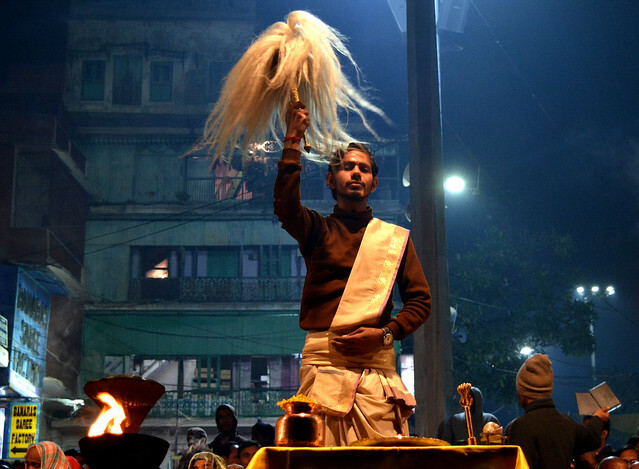 When I stepped onto Varanasi, inarguably the very first place I wanted to be in was the Dashaswamedha Ghat. Legend has it that this was the ghat where Lord Brahma performed the Ashwamedha (Horse) sacrifice with Dasa (ten) horses. Hence the name Dashaswamedha. 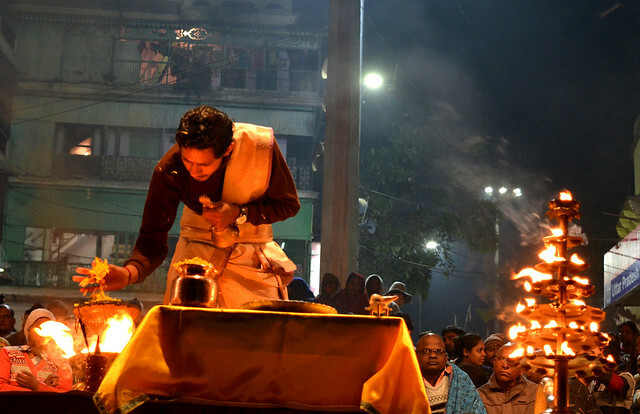 Besides the interesting history, this ghat witnesses one of the most magnificent Ganga Aarti (offerings to the Ganges). Getting to the “duality” in the city, when I first stepped out of the car to walk to the ghat, I could not help but notice the cacophony and chaos around. A thin two-lane road led to the ghat and it had everything from cows, vendors and sages to two-wheelers, rickshaws and temple-agents. Yet, the moment I managed to successfully wade through them and reach to the ghats, I could feel a sense of warmth (despite the chill in the air) and peace envelope me. The serene Ganges adorned with colorful boats, floating garlands, other remnants of worship and randomly floating “Diyas” somehow reminded me of a woman I knew, her hair unkempt, her saree smeared with mud (with all the field work) yet her face exuding charm that none could match. This city strives in duality. 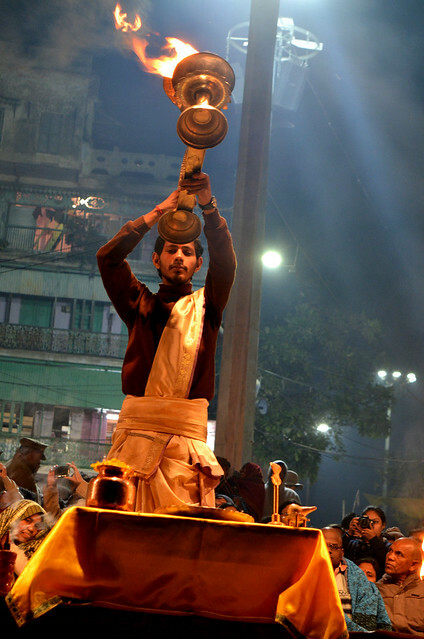 The Ganga Aarti in Varanasi is indeed a grand affair. 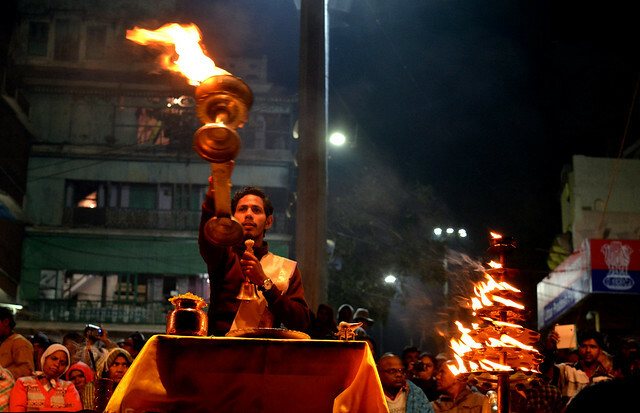 A group of Pundits (priests) perform the Aarti in a coordinated manner, offering prayers to Lord Shiva, the Ganges, Agni (the fire god) and Surya (the Sun). 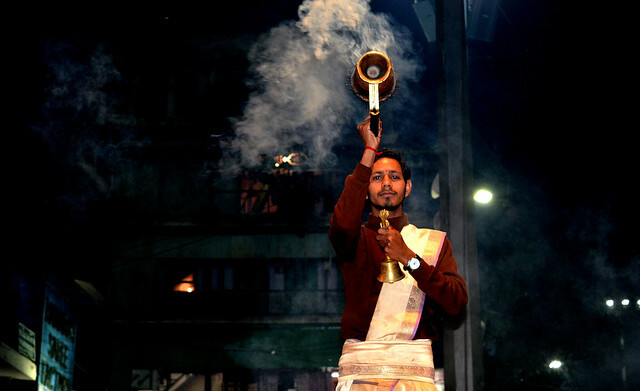 The Aarti starts with a prayer song, followed by waivering of the incense, the holy smoke, a huge tiered metal lamp and a serpent headed lamp with fire; by each priest in a gracefully coordinated form. 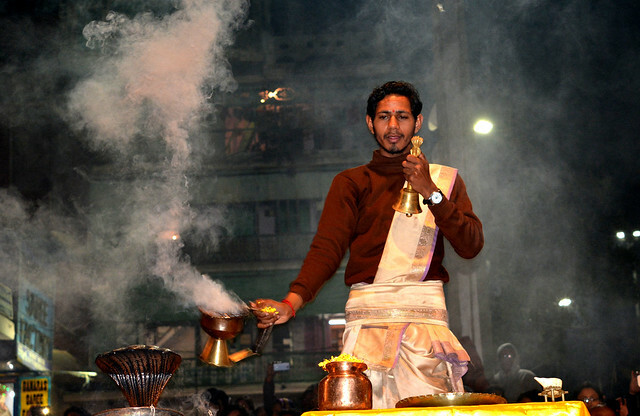 The Aarti ends with glorifying the River Ganges and Lord Shiva. 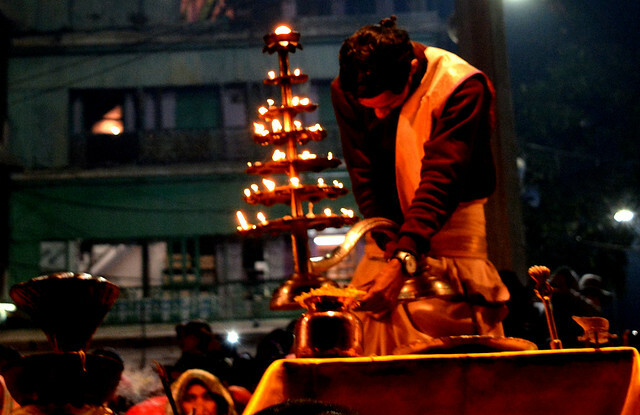 One can witness the Aarti from the ghats on from a floating boat on the Ganges. Either ways, the entire ambience with continuous ringing of bells, smell of incense and camphor and the serene Ganges puts you in a trance and heals the mind. And what could be better than a calm mind?